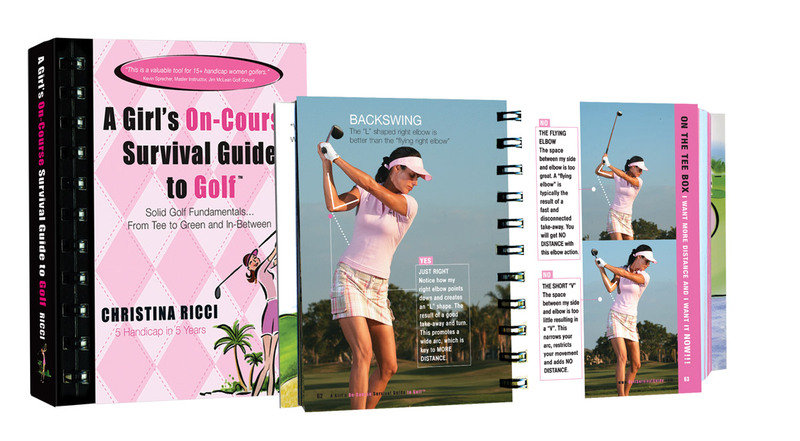 The Pink book is jam-packed with cover-to-cover visuals and your pal out on the course or at the range. Although marketed to women, the content is for all players. 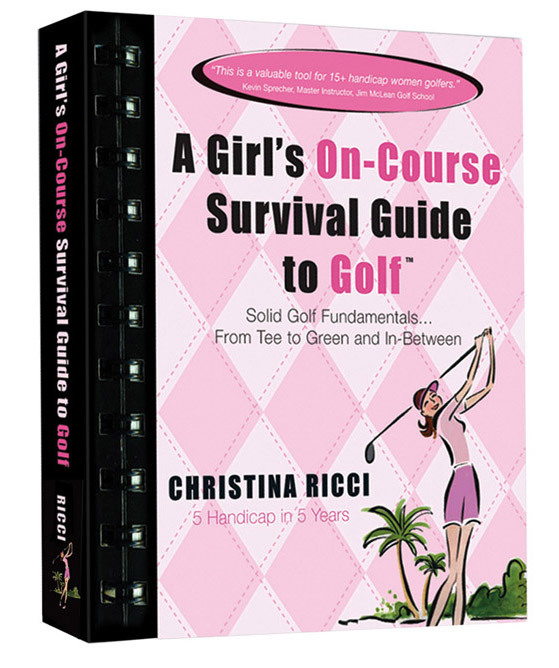 All the Golf Survival Guides are full-color, portable, and designed to be used on or off the golf course. Players love the Guides for their clear visuals, non-technical language, and unique author’s perspective. They are all jam-packed with golf instructional, step-by-step photographs for every technical aspect of the game, while also covering course management, mental tools, rules and etiquette with a splash of humor to keep the game fun. We offer volume pricing. Add items to cart and in checkout, your awesome pricing will magically appear. Order a minimum of 5 and get 25% off. Order a minimum of 16 up to 30 and get 30% off. Order a minimum of 31 up to 50 and get 45% off. Order a minimum of 51 up to 100 and get 50% off. Order 100+ and get 60% off.